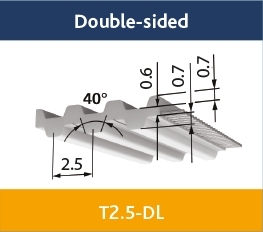 Polyurethane, Steel reinforced, cast truly endless, standard T Profile to DIN 7721 in metric pitch with trapezoidal toothform. 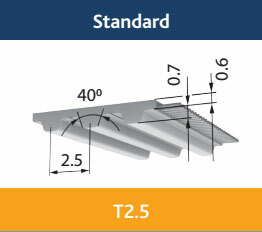 Standard T profile to DIN 7721 with metric pitch and trapezoidal teeth. 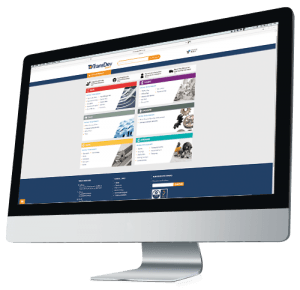 The technical data refers to standard polyurethane and standard steel cord tension members. Preferred belt width in (mm) 4, 6, 10.